Skagen is in an area of some 31 miles (50km) of broad, sandy beaches, heaths and dunes, known for its old, traditional buildings and cultural institutions. Visitors enjoy all kind of shops, golf courses, deep-sea fishing and hiking. On-site at the resort there is tennis, a playground and a cafe. Jeckels Gl. 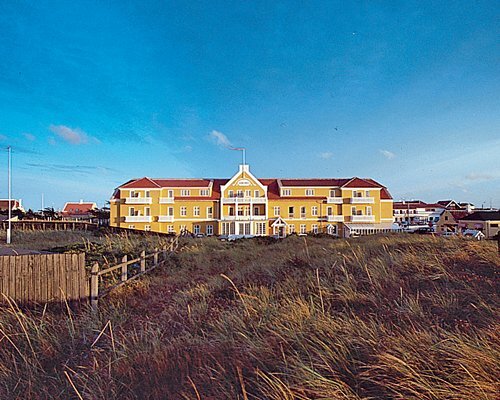 Skagen is 3 miles (5km) from Skagen in a building dating back to the 19th century. 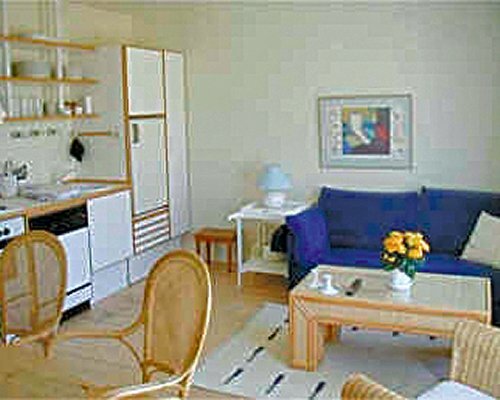 The apartments combine old charm and modern comfort, each with its own individual character. The beautiful beach is about 218 yards (200 meters) away. BY AIR: Nearest Airport: ?lborg 105kms. For international arrivals, fly to Copenhagen (Sealand) and then on via domestic flights to ?lborg Airport. BY ROAD: From the airport take the E45 towards Frederikshavn then follow A40 towards Skagen. Turn left at the sign H?jen (Gammel Skagen) approx. 2kms before Skagen. BY FERRY: To Frederikshavn and then train and bus service.